At the International Symposium on Biomedical Imaging in Prague this past April, a Harvard-based artificial intelligence system won the Camelyon16 challenge, a competition comprised of participants introducing their individual AI system and its ability to facilitate automated lymph node metastasis diagnosis. Referred to as PathAl, the computing system identifies cancerous cells through deep learning—an algorithmic technique that accumulates copious amounts of unstructured data and organizes it into clusters before analyzing it for patterns. Deep learning is predominately used in speech recognition systems like Apple's Siri and Microsoft's Cortana. According to one of the challenge's organizers, Jeroen van der Laak of Radboud University Medical Center in Netherlands, the technology featured in the competition went "way beyond" his expectations, as the AI's accuracy proved strikingly close to that of human beings. In addition, van der Laak said AI technology has the propensity to intrinsically redefine the way histopathological images are handled in the medical community. During the competition, the winning AI system exhibited the ability to detect cancerous cells in the biopsy sample with 92 percent accuracy. While the computing system's results are proficient, pathologists examining the same cancerous samples had 96 percent accuracy. However, when paired together, correct detection rose to a startling 99.5 percent. "Our guiding hypothesis is that 'AI plus pathologist' will be superior to pathologist alone," said Dr. Andrew Beck, of Beth Israel Deaconess Medical Center and Harvard Medical School in Boston, who led the creation of the winning AI design. To prepare for the competition, Beck's research group "taught" the AI system to understand and interpret metastatic cancer cells in sentinel lymph node biopsies. In familiarizing its database with thousands of cancer cell images and diagnoses, this habituation allowed the system to be tested for diagnostic inaccuracy. In light of a diagnostic mistake, researchers re-train the computer with a greater supply of complex images to reduce miscalculations. This framework allows the system to become more efficient over time, while simultaneously performing metastatic cancer detection. Traditionally, pathologists endure time and labor intensive processes to review biopsy samples, which are characterized as the examination of millions of cellular images under a microscope. 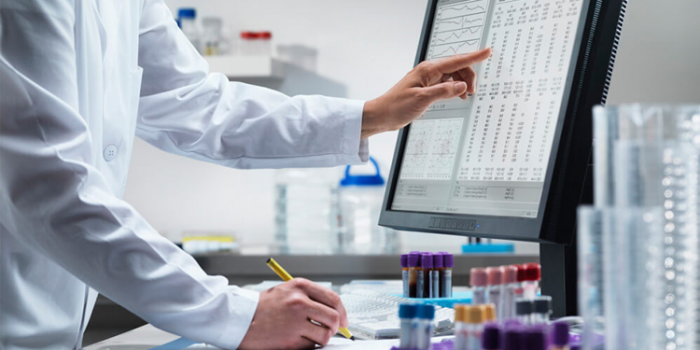 By streamlining the integration of AI systems into the detection and diagnostic process, all individuals in the medical spectrum will garner the rewards of improved accuracy and enhanced workflow efficiency. "If we and the larger research community are able to demonstrate that the use of AI tools significantly reduces diagnostic errors, I believe patients, physicians, health care payers and health systems will be supportive of the addition of AI tools in the clinical workflow," said Beck.